Over at Hardball Talk, Craig Calcaterra dug up a gem from the archives. Back in 1983, Bowie Kuhn announced his resignation as commissioner. The very first person to publicly throw their hat in the ring for the job was Hank Aaron, then in the Braves' front office. "A major one is interleague play," Aaron said Monday. We are denying fans of both leagues the opportunity to see outstanding players and teams. "Except in cities with teams from both leagues, I think you would be amazed how little, say Atlanta fans, know about American League teams and players." But what do we do with the DH in interleague play? "The designated hitter rule wouldn't be a problem," he added. "The solution is uniformity, either install it in the National or do away with it in the American." Aaron also pushes expansion—two more teams in the National League. (The Marlins and Rockies would join in 1993.) And, somewhat surprisingly from a former player, he offers a remedy for competitive imbalance. Aaron, currently the Braves' director of player development, said he is not anti-player, but he supports placing a salary cap on teams' payrolls. "We have to be fair to the Calvin Griffiths, too," he said, referring to the Minnesota owner who has been unable to compete for high-salaries free agents because his sole source of income is his baseball team. "With Calvin unable to pay the big bucks and keep his star players, the fans in the Minneapolis area can't have a good opinion of baseball." The search committee eventually settled on Peter Ueberroth. 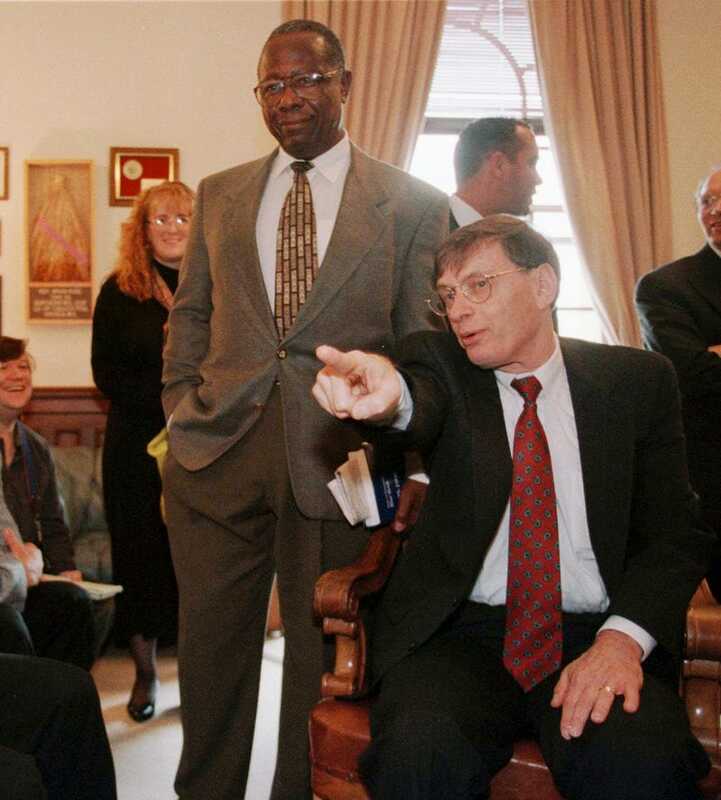 Bud Selig, the head of that committee, would become comissioner in 1992—and immediately set about implementing most of Aaron's platform.